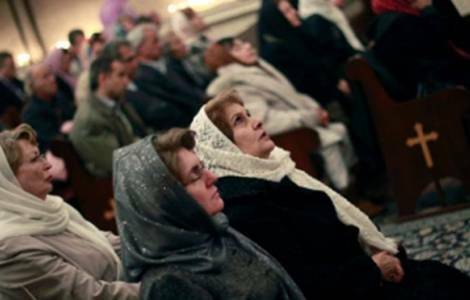 For Iranian Christians: to participate in the elections is a "national duty" and a "sign of belonging to the people"
Tehran (Agenzia Fides) - Iranian Protestant Pastor Nadarkhani, of the "Church of Iran," arrested in recent days in Rasht was released, while three other believers arrested on May 13 are still in custody. As NGO Catholic Solidarity Worldwide (CSW) informs, the arrests are part of a police raid in a dozen Christian homes. This is the second time Pastor Nadarkhani was arrested after his release from prison in September 2012. The Pastor was accused of apostasy and sentenced to death in 2010, in 2012 was released from prison after acquittal.